At Whirl-Pak® we are committed to making the world a safer place by providing better products that produce better integrity in the results. We have covered these checkpoints since 1959. 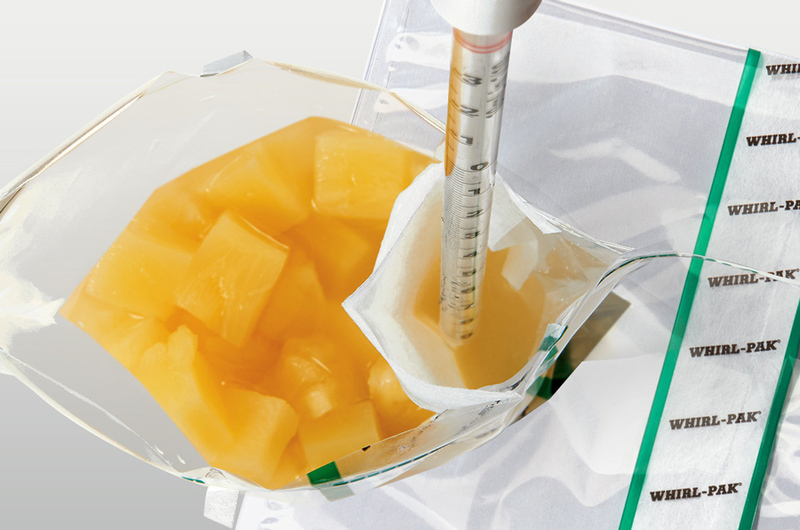 Made in the U.S.A., Whirl-Pak® bags were the first sterile sample bags on the market. 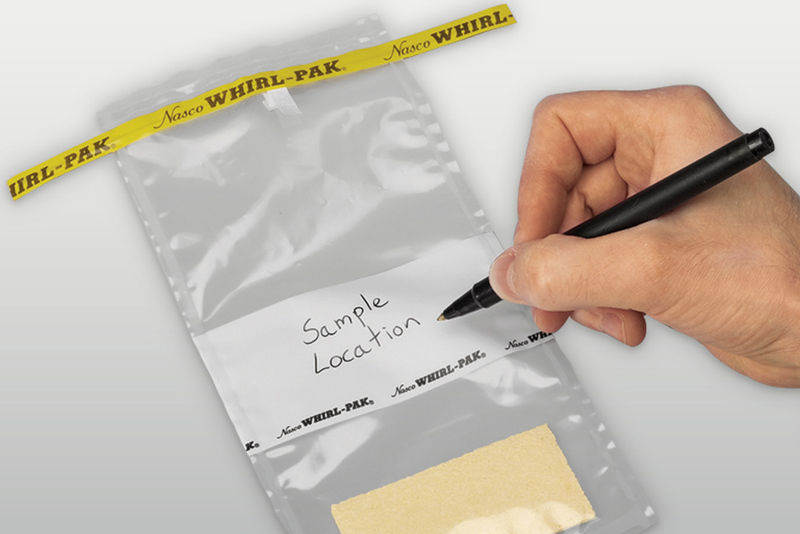 Whirl-Pak® bags made possible the “universal sample system,” which means that a single sample bag can be used for all tests required for quality control, product content, and legal compliance. 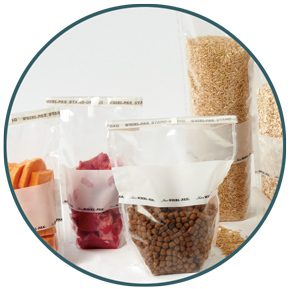 Whirl-Pak® bags are made of exceptionally clear film – easy to see through. They also have superior strength – an unbreakable sample container. They may be used for taking samples of liquids, semi-solids, or solids. Laboratory findings are completely dependent on the quality of the sample collected. It is imperative that each sample represents the lot from which it came, and that it arrives at the laboratory in the same condition it was in at the collection point. There should be no change in chemical, physical, or biological character. Whirl-Pak® provides consistent quality that you can depend upon. More than that, only Whirl-Pak® bags provide +1 Sterilization – the process of sterilizing sealed cartons of Whirl-Pak® bags after manufacturing using ethylene oxide gas at an independent ISO-certified facility. This process saves valuable preparation time and eliminates concern about sample integrity. To ensure the bags are sterile, a parametric-release process is used to confirm that all processing parameters are met and maintained throughout the sterilization cycle. The bags are shipped free from human contact in a secure liner bag inside the sealed carton. Lot numbers on every carton provide traceability of official sterility documentation. Our bags are patented under Patent No. 2,973,131 and other patents pending. The film thickness varies from 2.25 mils (0.057 mm) to 4.0 mils (0.102 mm), depending on size and style. Because of the high-quality blended polyethylene, a high mil thickness is not required to achieve optimum strength. An added bonus: All Whirl-Pak® bags feature puncture-proof tabs. This patented process extends the tape on the tab past the aluminum wire ends, eliminating the sharp points which could puncture the bags, scratch a person’s hands, or puncture gloves. This important product feature is found only on Whirl-Pak® bags, making it easier and safer to use than any other laboratory sample bag. From post-manufacturing sterilization to puncture-proof tabs, Whirl-Pak® has a long history of providing value by partnering with our customers in the shared commitment of developing leading-edge products that set a new standard in reliability. At Whirl-Pak®, we share a dedication to providing results you can trust. We deliver a better bag so you can guarantee better results. Better bag. Better results. Whirl-Pak® – trust the results.